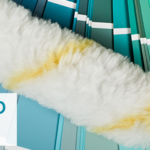 Painting is one of the easiest and cheapest ways to freshen up a tired looking room. Be warned though: if you think the job doesn’t require some forethought and planning, then you may find yourself staring at a big mess instead of a room that instills feelings of calm. 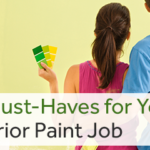 Painting isn’t hard, but if you don’t take the job seriously it could cost you more than just time – it could cost you hundreds of dollars to fix! Painting is super easy, right? Just grab a gallon of your favorite color, a roller, brushes and get to work. Not so fast! There’s more to this job than slathering paint on the wall. Professionals know the importance of proper preparation and can spend more time in this initial phase of the project than actually painting. So what sort of prep should you do? • Fix surface imperfections: you may be (unpleasantly) surprised at how much new paint brings out a wall’s imperfections. Don’t let every scratch, ding and bump show through. You can avoid these unsightly views by smoothing over rough edges and fill in cracks and scratches before you put that roller to the wall. • Clean walls. Have you looked closely at your walls lately? It isn’t just old paint making it look so tired and worn – it’s dirt. Yes, your walls get dirty too, and that built up grime just might bleed through your new paint job. 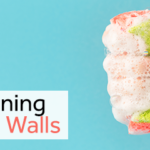 Be sure to dust the surface of the entire wall, taking special care to scrub off fingerprints, smudges and discoloring caused by cigarette smoke. • Cover furniture and floors. You may be tempted to skip this step, but don’t. Protecting the rest of the room against accidental spills is essential to ensure you don’t have a bigger mess to clean later. There’s a reason why professionals apply a quality painter’s tape to moldings and trim – it works! Avoid a haphazard look by sealing painter’s tape along trim firmly. This will give you the sharpest and cleanest lines. But remember, peel the tape off before the paint has a chance to dry – otherwise it could peel the dried paint off the wall. 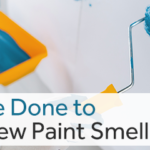 While many modern paints now include primer, be sure to use a separate primer for new walls that have never been painted or rougher surfaces like wood or concrete. Otherwise, you may find yourself applying several coats. You’ve found the perfect shade of blue for your bedroom, but do you know what type of finish to use? Choose poorly and you could regret your decision to paint at all. Not every paint covers another well. For instance, if you try to use latex paint over an oil based one, the new shade will crack and peel before you get used to the new color on the wall. Before repainting any room, check if the current paint on the walls is oil-based. If so, sand it a bit to help the newer latex paint adhere to the wall. 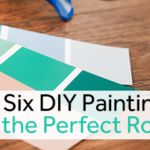 But that isn’t the only decision to make when choosing the right paint for your room. Consider how the space will be used. Heavily trafficked areas (foyers, mudrooms, playrooms, etc. ), need a paint style that can handle use and abuse. Premium mattes, semi-gloss and satin finishes work best in busy rooms since they’re made to hide fingertips and smudges. Plus, they can be wiped down regularly. Flat surface paints are usually best for rooms that don’t get much use or that won’t be subject to pets and kids. Another thing to consider when choosing the gloss level for a particular room: the lighting. Rooms that get natural sunlight may appear glaring when high gloss paint is used. While flat paint could highlight too many fingerprints and marks, satin often works well since it offers more wall protection without the glare of the gloss. This is a common mistake that wastes paint and makes the job messier: improper brush dunking. A simple sip (no more than a third of the way up the brush) is all that is needed to give you good coverage that’s easy to use. Painting your room gives the space a fresh look and feel. While most interior paint jobs can be accomplished in a single weekend, it is important to follow the tips above to avoid some costly and time- consuming mistakes. Not sure where to start? Call the Painting Company of Atlanta today! Their team of expert painters is ready to give your home the new-look you’re after without the hassle of tackling the job yourself.